Walk Connemara offers guided walks, trekking, hillwalking, hikes and walking tours in Connemara, Co Galway, Co Mayo and along the route of the Wild Atlantic Way in the West of Ireland. These are provided by Paul Phelan, a qualified mountain leader and experienced local walking guide and author of “Connemara and Mayo - a Walking Guide” published by the Collins Press in 2011. (see below and the Guide Book page). 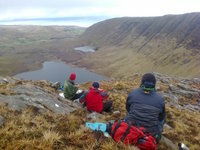 Walk Connemara offers a variety of services for individuals, groups, tour operators and corporates interested in walking-related activities in Connemara. We deliver an authentic and special experience in one of the wildest landscapes in Western Europe. The cost for a half-day is currently €130 - €230, again depending on the location, numbers and transport. We accept payments through PayPal (you can use either a credit card or your own PayPal account). Let us know what you have in mind and we will help you design your special experience. We can arrange walks around various themes or features e.g. archeology, history, heritage, geology, birds, bogs, caves, mountain passes, megalithic tombs, holy wells. 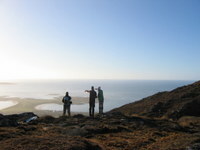 Walk Connemara also offers guided walks for individuals or small groups who can join a scheduled walk. However, these are generally subject to a minimum number of people booking in advance, and are not guaranteed until we have sufficient bookings. 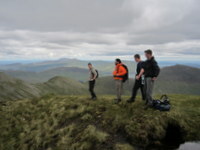 If confirmed, you will join a group with other people for your guided walk, hillwalk, hike or trip. Scheduled walks normally cost in the range of about €25-70 per person (island trips and some special hikes are more expensive). View the Scheduled Walks page for a calendar of walks, hikes and Island trips that individuals or small groups can join. You can also have a Scheduled Walk created to meet your requirements or interests or guarenteed to proceed (irrsepective of the other bookings). These customised scheduled walks usually cost more per person than a scheduled walk (but often much less than exclusive guiding, particularly for small groups e.g. three/four people). Let us know what you would like and we will try to quote you for a customised scheduled walk. We can organise day trips to Inishbofin, Inishturk and Clare Island, using the regular ferry services. These trips can be exclusive or offered as scheduled walks (take a look at the Scheduled Walks page). We also offer customised Island day trips on a private boat to these and other islands (some of which are uninhabited). These are normally offered from April to October. Current prices for custom guided island day trips (including the comfortable boat, taking up to 11 people) range from €500-€1000 depending on the location, the duration and the lunch (ranging from simple outdoor picnics through pub grub, to gourmet feasts with local produce served in an island hotel). 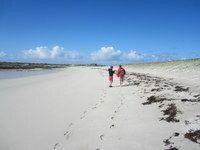 Larger group sizes are also possible as are multi-day island tours. We can also help you plan your walking tour or holiday. We offer advice and guide books to help you plan and get the most out of your West of Ireland walking experience. We can also assist with developing walks, tours and other walking-related activities. We can organise transport for individuals, and tour groups of various sizes. We can arrange maps, food, accommodation or other logistics to help you enjoy hillwalking in this spectacular landscape. Paul has been an enthusiastic hill walker for over 20 years, having climbed mountains all over Ireland, as well as in Scotland, Portugal and Japan. He has been a member of the Beanna Beola (Twelve Bens) Hill-walking Club since 2003. Paul has led many club hillwalks of various grades and group sizes and helps to organise the hill-walking schedule. Paul has been guiding groups of tourists to Connemara since 2008. He is a qualified Mountain Leader with First Aid (REC4) training. He also got a distinction in the FETAC Level 6 course Marine and Countryside Guide – specialising in Hill Walking and has a Local Guide badge from Fáilte Ireland (Ireland's National Tourism Development Authority). Paul speaks several languages (basic Irish, French, Japanese and Portuguese, along with an understanding of Spanish, German and Italian). 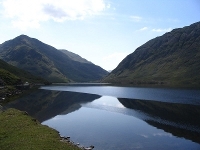 At Walk Connemara, we have extensive knowledge of the walks and heritage of Connemara. We can deliver an authentic and valuable experience for you or your clients. Paul has featured in several TV programmes about Connemara. He featured in the Clifden episode of Tile Films' "Cé a Chónaigh i Mo Theachsa? (Who Lived in My House?)" documentary broadcast on TG4. He also had a credited part in the TV drama Single Handed broadcast on RTE and ITV. Paul presents a music show every second Saturday 7-9pm on Connemara Community Radio. Paul's book “Connemara and Mayo - a Walking Guide”, was published in April 2011 by the Collins Press It is now widely available in good bookshops and around Connemara - and we can send you a signed copies by post. For more details see the Guide Book page. Boots with good grip and rainwear are essential for safe hiking and hillwalking in Connemara. Click here for information on Recommended Equipment. We can arrange some equipment rental (e.g. poles) if you don’t have all the right hiking gear with you. We may also be able to loan you some spare equipment (e.g. rain jackets, boots). For safety, walking group sizes depend on the nature of the walk. For instance, mountain hikes are limited to about 8 people, while up to about 25 may be possible for certain easy walks. An extra guide will be arranged for large groups (at possible extra cost). 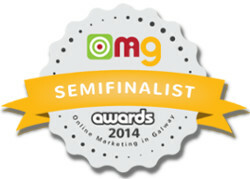 "Randonnée dans les montagnes du Connemara"